A&E awnings by Dometic and Carefree awnings help to keep you cool and in the shade. Check out our huge selection of awnings by Carefree and Dometic A&E awnings. It's important for you and your family to stay cool in the summer heat. 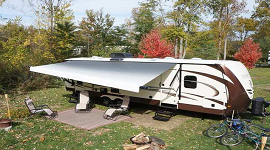 Not only do we carry the largest inventory of RV awnings, but we also have a great selection of RV awning screen rooms and awning accessories to choose from as well so you will have top of the line awnings and materials while on your camping trip. 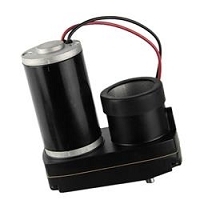 Dometic items are all currently special order, so there is no returns on these items. Now you can beat the heat and stay out of the sun with our awesome line of awnings. All Dometic awnings are special order. Enjoy extra shade and privacy with Dometic's Veranda Shade. Vinyl-coated polyester mesh Veranda Shade slides into the utility slots of most awning rollers. Brass grommets let you stake it to the ground with included nylon elasticized tie downs. 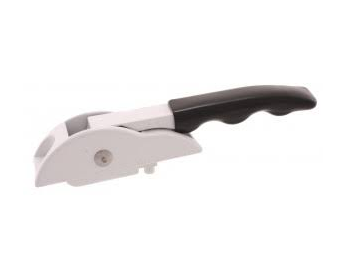 Requires no tools or assembly. Fire retardant and weather resistant. Coordinates with all Dometic patio accessories. USA. Reduces sun intensity by over 50%. Fits all A&E and most other awnings. 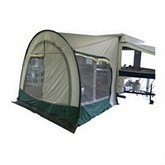 Every camper should enjoy the luxury of an awning regardless of the size. Awnings are a must to keep you cool and in the shade while you are on your camping adventure in your camper or motor home. 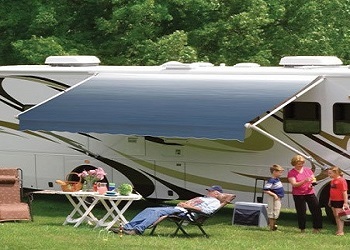 There are two styles of RV awnings, the power awnings and the manual awnings. Dometic A&E is the leading manufacturer of camper awnings and these are the style that come stock on 80% of campers today. Dometic patio awnings range from the Sunchaser and Sunchaser II style awnings, the 8500 A&E awnings, 9000 manual awnings, 9100 power awnings, and the most luxurious of all, the Weatherpro power awnings. Dometic awnings also have a variety of other awnings as well from RV A&E window awnings to the Dometic A&E slide out RV awnings. If you currently have an RV awning on your camper or motor home, we also have replacement fabrics from both Carefree of Colorado and also Dometic A&E. Replacement fabrics range from 8 ft to 25 ft in length with a variety of colors and come in either vinyl or acrylic to suit anyone's needs. 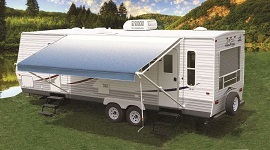 If you fancy the Carefree of Colorado awning selection, we have several of those to choose from including the Simplicity Plus awnings, the Fiesta awnings, Freedom truck camper awnings, SOK III slide out awnings, and a line of Carefree window awnings as well. Check out our line of Dometic and Carefree Awnings today!